Shale Oil: Think Globally, Buy Locally! Fresh on the heels of a recent marketing campaign of the most ‘forward thinking’ i-concept yet, some may wonder whether the Jones Act tanker market in the US is exhibiting one of its best ever performances yet based on the dislocations caused by the status quo and possibly hard-to-substantiate assumptions. Although in the summer Reuters first reported that the MT „AMERICAN PHOENIX” Jones Act product tanker was sub-leased to ExxonMobil by Koch Industries for one year at a rate of $100,000 pd, a recent article in a shipping trade publication erroneously stretched that charter to a grand total of five years, still at $100,000 per diem. (We happened to know the true charterers and rates, and it’s not what it has been reported beyond what it was written in the Reuters article). Basing investment calculations on rates similar to $100,000 pd for 5 years as exciting and attractive as they may be, they can only lead to mis-calculations, disappointment and undue attention. Shale oil discoveries and production oil and natural gas liquids (NGLs) in the US and overseas are definitely a game changer for world geo-economics, and such development will definitely provide a strong competitive advantage to the US versus other industrially developed / developing countries. The shortest and best telling exhibit of such an advantage can be seen in the price differential of natural gas between approximately $3.5 / MMBtu at Henry Hub (Louisiana) and about $15 / MMBTU at DES Japan / Korea Marker (JKM) with an approximate $4.5 / MMBtu freight cost differential between the two markets; in other words, the base cost of energy input in the industrial value chain is one-fourth in the US than in Japan; although slightly better in Europe, still it’s three times as high than in the US. Oil produced in the US is illegal to be exported (on a commercial, sustainable basis), based on laws enacted primarily in the aftermath of the 1970 oil shocks (Mineral Leasing Act of 1920, the Energy Policy and Conservation Act of 1975, and the Export Administration Act of 1979, and the so-called short supply controls in the Export Administration Regulations (EAR) of the Bureau of Industry and Security (BIS) where the restrictions are duly defined.) Therefore, based on the status quo, oil produced in the US has somehow to slosh in the US and that can only be done by rail cars, pipelines and tankers, Jones Act tankers that is. Ergo, the exuberance on the Jones Act tanker market. 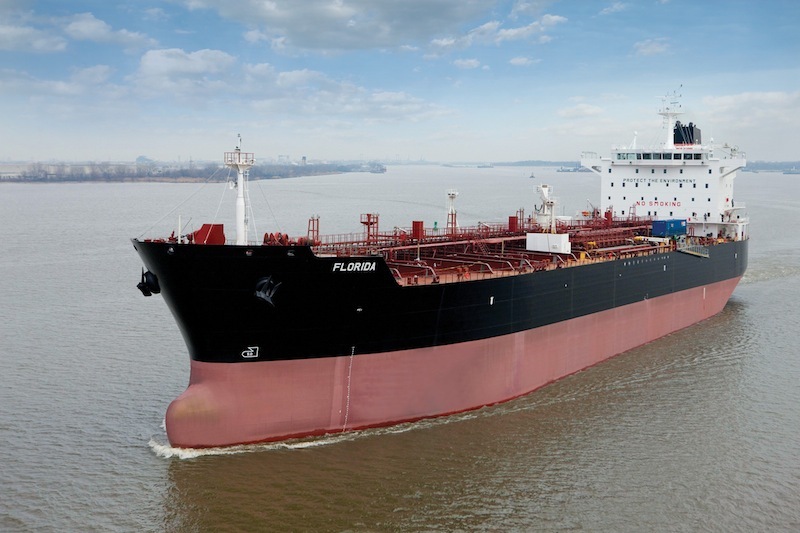 Since our last posting on the Jones Act market, there have been a firm order for an additional two tankers by clients of Seabulk Tankers at NASSCO, and a reported Letter of Intent (LOI) for additional four tankers by an institutional investor at the ailing Avondale Shipyard (part of Huntington Ingalls Industries ) based in Louisiana. For those in the knowing, an LOI sometimes is worth as much as the paper it’s written on, but so far, the orderbook of firm orders for Jones Act tankers stands at fourteen vessels with production solidly filled till late 2016, with four more options plus the potentially four at Avondale. 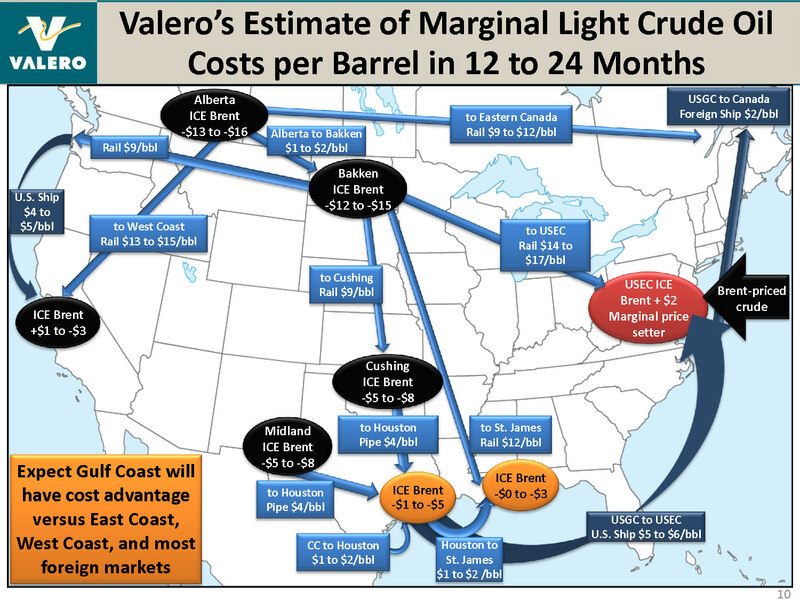 The economics of transporting oil within the US whether by rail, pipeline or by sea (barges or tankers) are tight, and for now, the bottleneck / dislocation has caught many people by surprise. However, there are strong efforts for the building of the TransCanada Keystone XL pipeline and expanding the railroad capacity from North Dakota (Bakken) to USEC (and elsewhere.) Given that US refineries are oriented for sour and heavy crudes, the economic argument has been made, some times vocally and sometimes discreetly but always against great criticism from many fronts, that in today’s economic world it would make more economic sense for the US to export its domestically produced high quality oil and logically highly priced (West Texas Intermediary (WTI) and Louisiana Light Sweet (LLS)) and import cheaper, lower quality crudes. Since the shale oil boom, the spread between WTI and Brent has been as wide as -$25 / bbl, meaning the better quality WTI is lower priced than lower quality Brent (compared to WTI.) While recently the gap has narrowed significantly and almost a month ago their pricing approached parity momentarily, the gap has widened again to -$6 /bbl. © 2013 Basil M Karatzas & Karatzas Marine Advisors & Co.
No part of this blog can be reproduced by any means and under any circumstances, whatsoever, in whole or in part, without proper attribution or the consent of the copyright and trademark holders. This entry was posted in Jones Act Market and tagged American Phoenix, Avondale Shipyard, Bakken, Basil Karatzas, Brent Crude Oil, Eagle Ford, ExxonMobil, Jones Act, Karatzas Marine Advisors & Co., Koch Industries, Permian Basin, Seabulk, tanker, Valero, WTI on September 28, 2013 by Karatzas Marine Advisors & Co..